The adidas acrylic yoga strap which is a part of the adidas yoga range ensures proper alignment and helps you increase your flexibility and hold yoga poses for longer. The strap provides appropriate tautness and strength to ensure your movement is not limited so you can quickly progress with your practice. This handy and functional prop features a robust 'D-ring' buckle which holds the strap in place and makes it easier to try more advanced poses. for submitting product information about adidas Acrylic Yoga Strap We aim to answer all questions within 2-3 days. 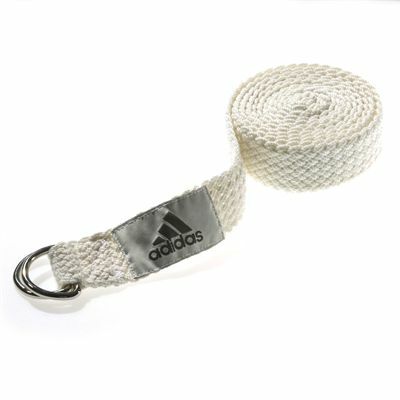 for submitting product information about adidas Acrylic Yoga Strap. We aim to answer all questions within 2-3 days. If you provided your name and email address, we will email you as soon as the answer is published. for submitting product review about adidas Acrylic Yoga Strap.